Guild Church of St Peter is one of the best churches in the region and is well known for its skilful architectural value. 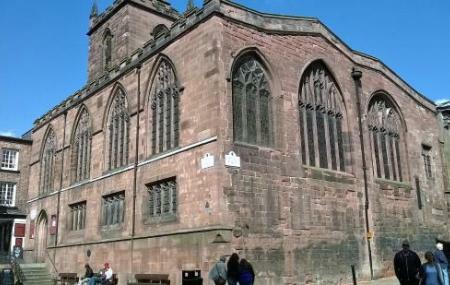 The church holds a lot of historical value for the city of Chester and is one of the must places to visit in the city. The coffee bar in the church also allows you to drink and enjoy your coffee while you view the church. The church is also known for its friendly people and guides who can tell you everything about the church. Trains can be taken from the Chester station. How popular is Guild Church Of St Peter? People normally club together Eastgate Clock and Chester Cathedral while planning their visit to Guild Church Of St Peter.